Good afternoon, space fans! What wonders were worked on this week, hundreds of miles above our heads? It's all about solar: the station's solar arrays soak up the rays. The Cygnus spacecraft, created by Orbital ATK, was sent home for a fiery funeral this week, burning up a stash of the station's trash as it careened, self-immolating, back through the atmosphere on Saturday. NASA astronauts Scott Kelly and Tim Kopra used the station's 57.7-foot Canadarm2 robotic arm to grapple the craft away from the station and release it into the void. the atmosphere takes care of that. Cygnus, an unmanned craft, arrived at the ISS on December 9th, bearing some 7,000 pounds of cargo. 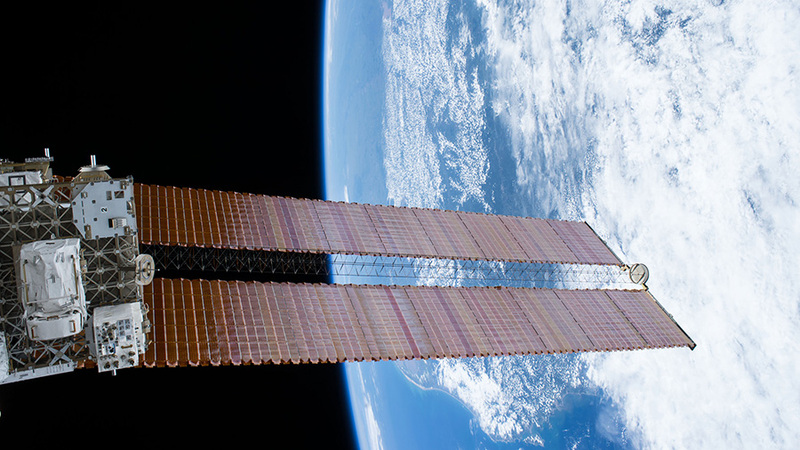 It was referred to as the "cutest" spacecraft at the ISS by Gizmodo. 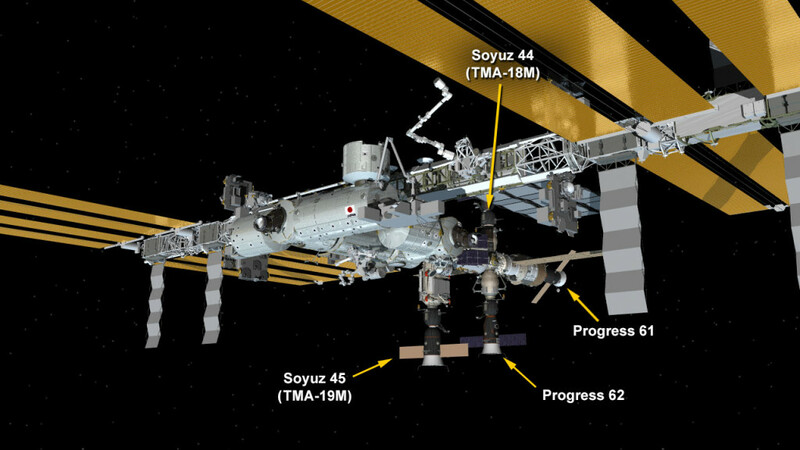 The Soyuz TMA-18M craft attached to the station will also be departing soon, though bearing far more precious cargo. The spacecraft will ferry the One Year Crew of Scott Kelly and cosmonaut Mikhail Kornienko back to their gravity-embraced lives after almost a full year on the ISS (340 days, as of March 1st.) Cosmonaut Sergey Volkov, who has served on the station since September in his third sojourn to space, will be returning with them. In mid-March, another Soyuz craft (the TMA-20M) will arrive bearing the three new crewmembers of Expedition 47 - NASA astronaut Jeff Williams and cosmonauts Oleg Skripochka and Alexey Ovchinin. Meanwhile, the current crewmembers performed experiments testing station microbes and assessing cardiac function in space. Continued tests on the astronauts' vision were also underway. Speaking of vision, the crew got to play experiment with Microsoft's Holo Lens, which projects holograms in 3D to facilitate visualizing all sorts of interesting things in (apparent) real-life. The holograms could fill out gaps in a construction or design scenario, or aid in expressing the elements of other items, like an exploded diagram that can be manipulated via computer. Sounds like just the thing for a modern spaceship! That's all for this week, space fans! We'll see you next Sunday with more news on the return of the world-famous One-Year Crew! Watch this space! Ten days left in space? We'd spend the whole time staring out the window.